KidsEBookBestsellers.com: THE GIRL WHO WOULD BE KING -- King of the Kindle Top Ten, That Is! THE GIRL WHO WOULD BE KING -- King of the Kindle Top Ten, That Is! Super powers plus a super story equaled e-book success for author Kelly Thompson. On March 16th, her book The Girl Who Would Be King rose to number 5 in Amazon's "Children and Teens" section. Kelly told me it also hit the number ONE spot in Amazon's "Children's Fantasy and Magic" and "Contemporary Fiction" categories! She was happy to share her thoughts about her e-pub success. Tell us what your book is about, Kelly. 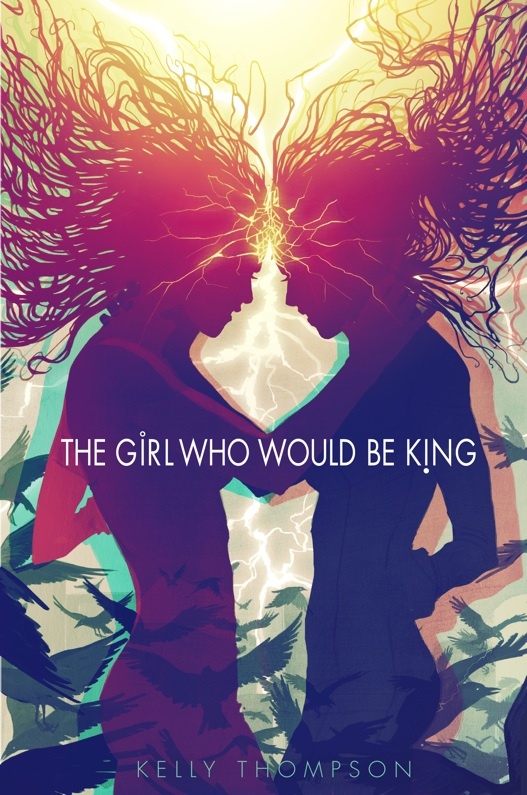 The Girl Who Would Be King is about two teenage girls with superpowers and radically different agendas, destined for a collision that will change everything. Separated by thousand of miles, Bonnie Braverman and Lola LeFever are about to realize their extraordinary powers which will bind their lives together in ways they can't begin to understand. 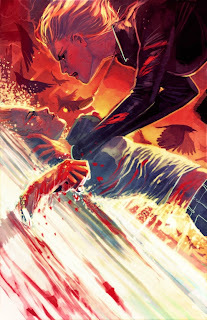 One girl driven to rescue, save, and heal; the other driven to punish, destroy, and kill. And now they're about to meet. I've had a lot of amazing readers that have loved the book and talked about it widely. It is still surprisingly difficult to get indie/self-published books reviewed on major sites - despite the success of so many self-published books of late. I got VERY lucky and Rob Bricken at io9 loved my book - and gave me a rave review on the site - that really broke TGWWBK free and got it in front of a lot of people. We've had a whirlwind of sales (and interest in the book) since then. I hope it will keep growing. There's some wonderful control in e-publishing. The ability to modify your product and to constantly track sales and offer deals. It's a dream in some ways. I was initially very nervous (and hesitant) and I'm surprised by the benefits that I found and how enjoyable a lot of the process ended up being. That said, I find formatting e-books very stressful. It's a whole different format for me and I found it difficult to make the book look as professional as I wanted to. If I do it again I will definitely hire someone so I can get the best possible ebook - absolutely stunningly professional - as it makes a huge difference. Yes, as I said above, the Kickstarter success allowed me to fund both a paperback version - complete with a gorgeous cover by French artist Stephanie Hans. The paperback version, which came out a couple months after the digital release, is available on both Amazon and Lulu. The limited edition hardbacks - with a section of full color gorgeous illustrations - also by Stephanie Hans - were made possible by the over-funding from the Kickstarter. It's pretty fantastic, because having color printing in prose is pretty much unheard of these days since it's so cost prohibitive. I absolutely believe the e-format has helped me. I think the access and the instantaneousness of it makes it very appealing to people, and as an author it puts money in my pocket very quickly. That said, I'm seeing thousands of copies of my book being pirated, so that's a bit of a bummer, and it's just not really a controllable thing. If your book exists as a digital thing, then if people want it, they will get it. I'm glad to have so many readers, but as a writer trying to make a living off your writer, it's a bit discouraging. I have trouble imagining digital ever fully replacing print though. Print offers so many wonderful things that digital cannot. I wouldn't trade anything for how that gorgeous illustrated hardcover feels in my hands - I love it! Kelly supplied me with plenty of links if you want to know more about her and her books.. Check out her Blog, the website for TGWWBK, the TGWWBK Facebook page, or Kelly's author website. Stop back on Saturday for the updated Kids' EBook Bestseller List! Barry Lyga Took The #1 Nook Teen Spot!